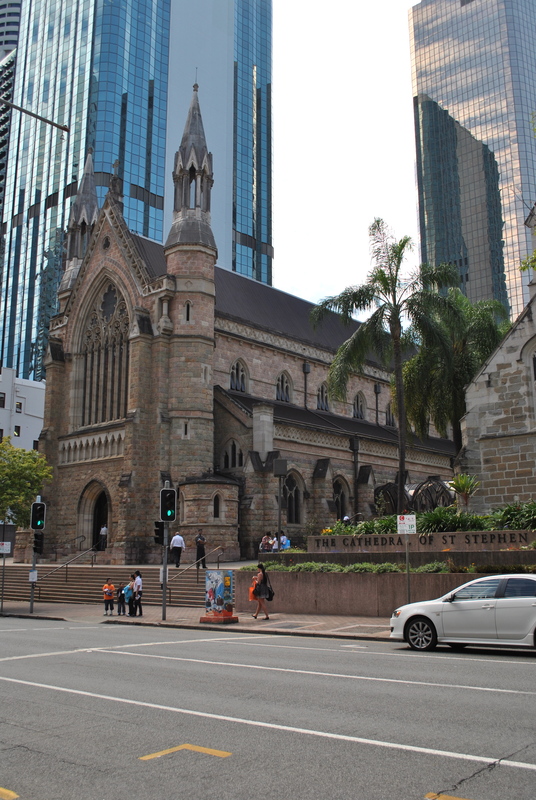 ok, because I rambled so much in my first Brisbane Post, I had to break it up. Sorry about that! I’ll have recipes later in the week, I promise. So on day 2, I checked out of the hostel SUPER early. I had made plans to go to the pancake brunch with the two girls in my room. The were both German and 18. You want to feel old? Bunk down with two girls that are a decade younger than you. Who ask you for help on their first job cover letter. Yeap, I was feeling ancient! Anyway, we were going to do brunch but the place was noisy and I wasn’t sleeping well on the top bunk. So I was up and out by 7. 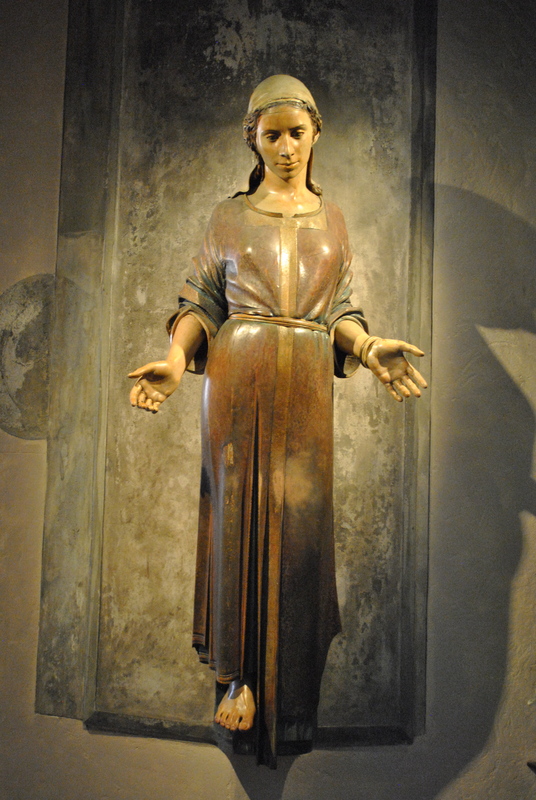 I had a gross breakfast at this restaurant around the corner and then set out to find a church that was supposed to have some cool art. 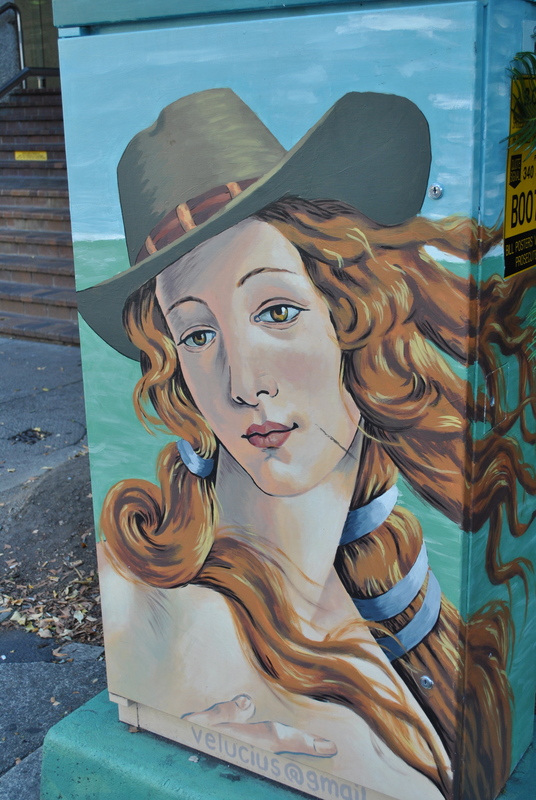 Along the way, I turned the corner and found the best. thing. 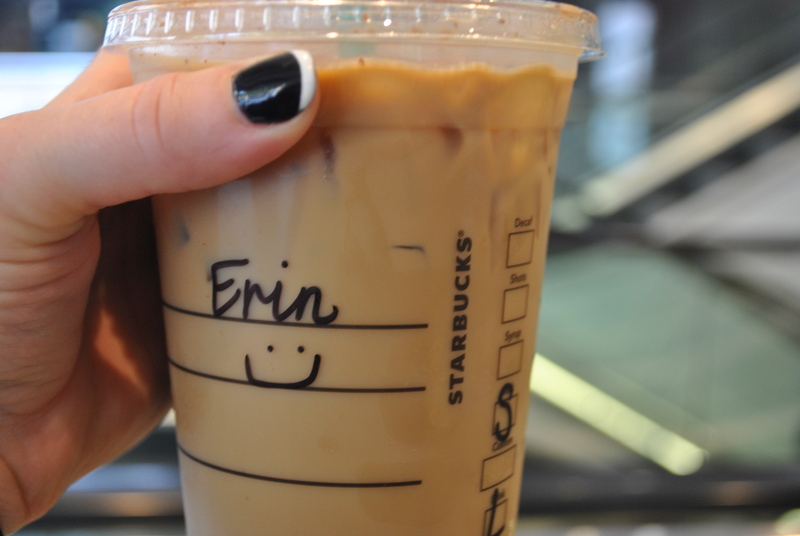 ever *drum roll* a starbucks!!! OMG! So, excited! 1 whole month without an iced soy latte. 1 whole month of trying to find a place that makes good iced mocha lattes (um hi, yes. They put ice cream in their iced beverages sometimes.) I barreled across the street, jaywalking and dodging cars, like Ryan Gosling himself was waiting on the other side. I know Starbucks isn’t necessarily the best but it’s familiar. And familiar is good when you haven’t had American food in a month. By this point, I was totally satisfied with life and didn’t even care about the church. This proved a good thing because the church definitely did not live up to the hype. Or maybe I’m a total church snob now that I’ve experienced all the epicness that is Italian Churches (I’m looking at you Sistine Chapel and the church in Sienna). Either way, I walked around for about 2 minutes, snapped a few pics, got some nasty looks from old people praying (cool it! It’s not like I went in the middle of mass!) then continued my wondering. All the stores were closed because it was early Sunday so I made my way back across the river to the South Bank and hit up another outdoor market, this one significantly better for christmas shopping! 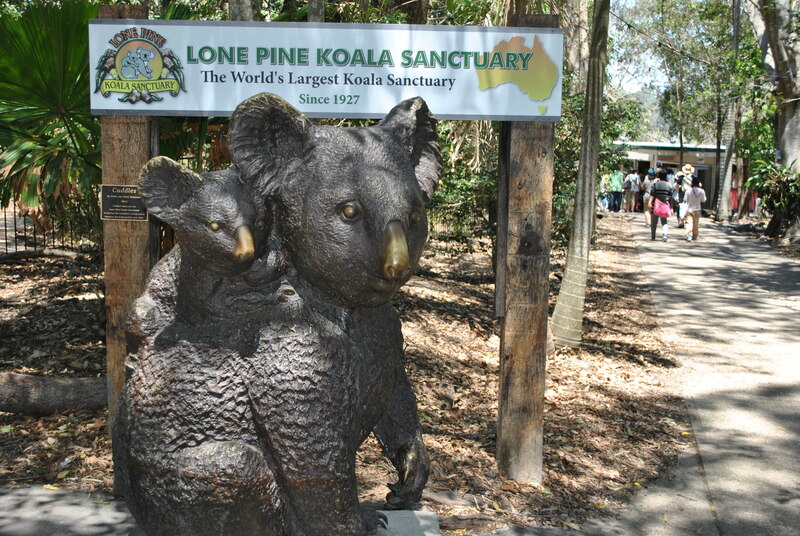 I was back at the hostel by noon and on the road to the next attraction- The Lone Pine Koala Sanctuary! Nothing says, ‘Look I’m in Australia!’ like a picture of you cuddling a koala. Unfortunately, those photos aren’t digital and they came out so bad that I reserved them for only those nearest and dearest. I still have loads of Koala pictures! 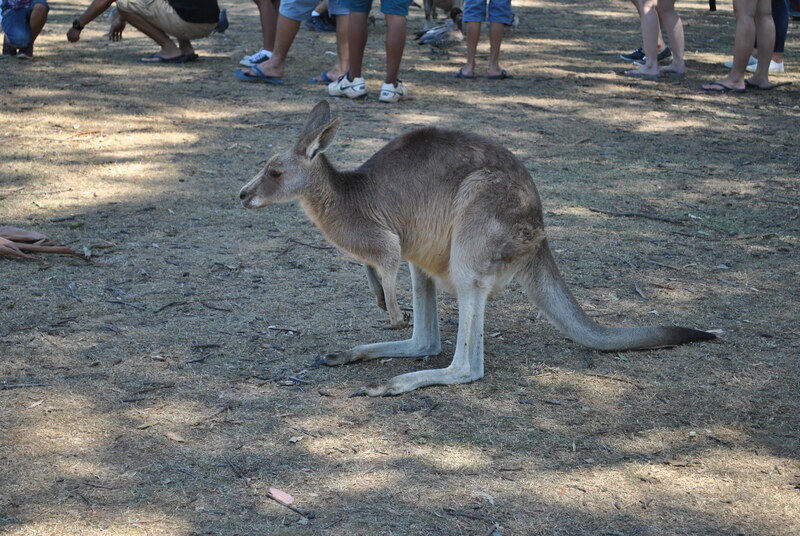 The park also had an open kangaroo exhibit where you can buy kangaroo food for $2 and walk right up to a kangaroo and hang with it. I didn’t do this. Mostly because 1. seriously? 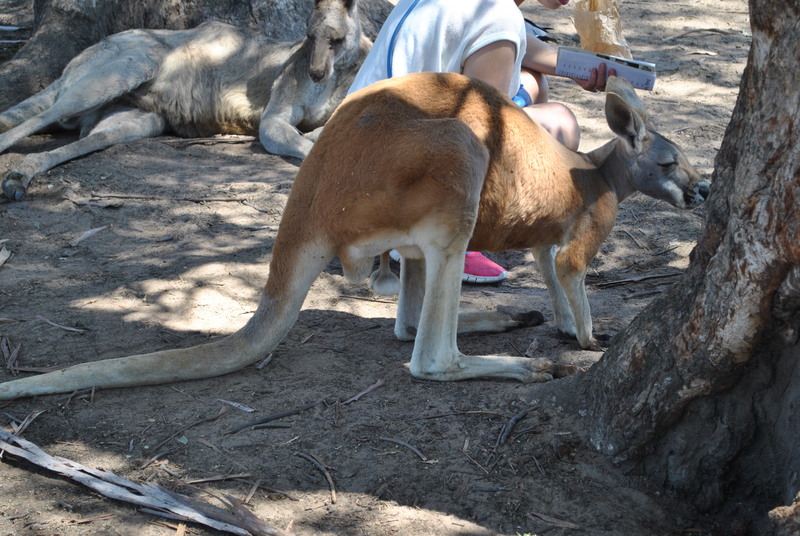 $2 for a teensy bit of food so a kangaroo can slobber on your hand? and 2. up close they are kind of scary. I didn’t want kangaroo slobber AND to be kicked in the chest. Just sayin’! 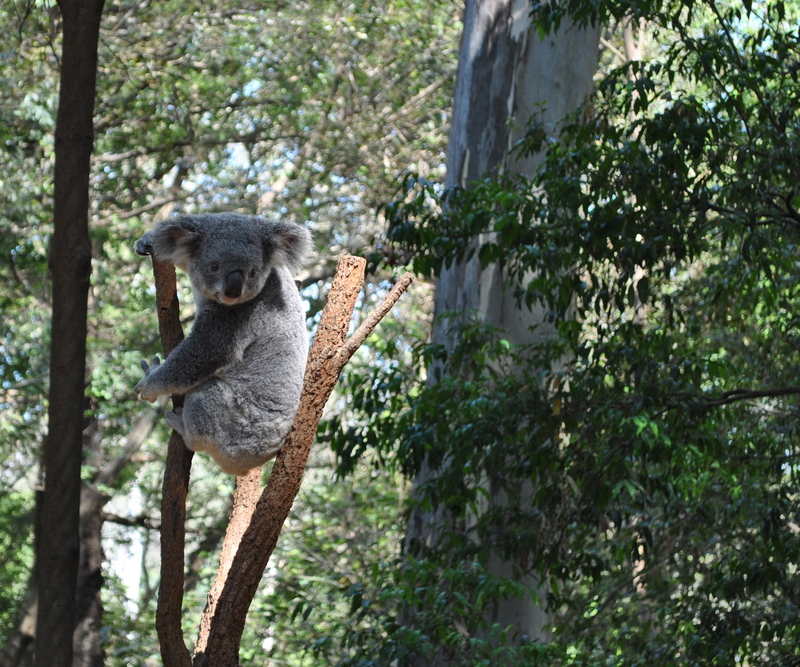 Now, just incase you were thinking “woohoo, koalas. Who cares?”, look what I have here. 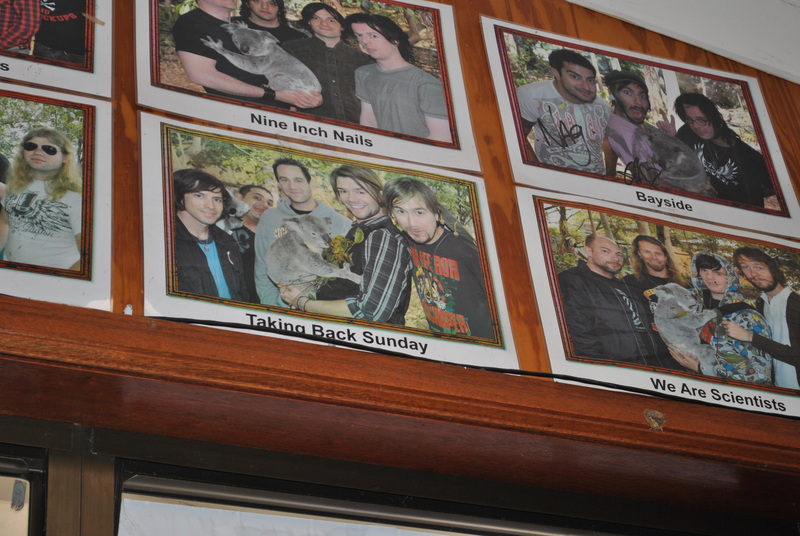 Not only did I cuddle a koala but I followed in the foot steps of the coolest, most awesomest, most bestest band ever- Taking Back Sunday! That’s right kids. Matt Rubano and I stood in the same spot and dare I say, possibly (not likely, let’s just pretend) cuddled the same Koala. Almost as cool as say, Cuddling the same Koala as Taylor Swift? Yeapers. It happened. 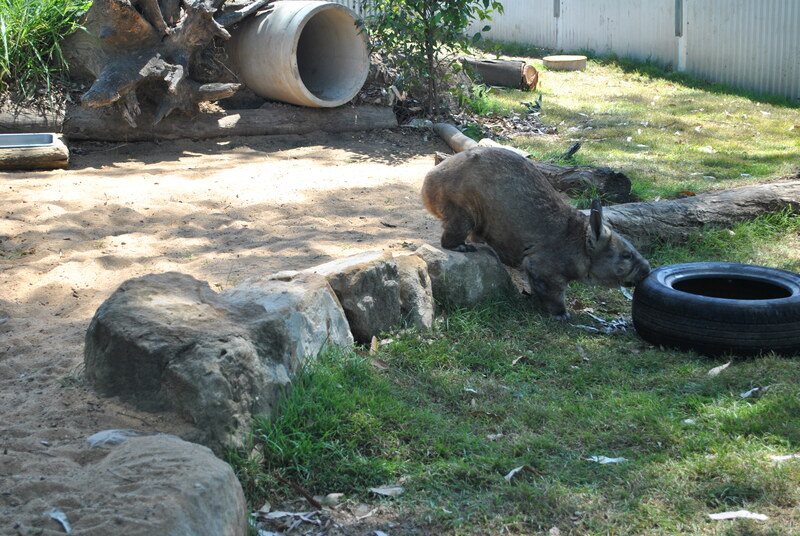 And if you’re too cool for TBS and Tswift, I have some Wombats for you…which is funny cause you know, I saw wombats at the Koala Sanctuary, too. Get it? The Wombats (above); wombats (below). Ha! Anyways, I think that’s quite enough of my Brisbane adventures. 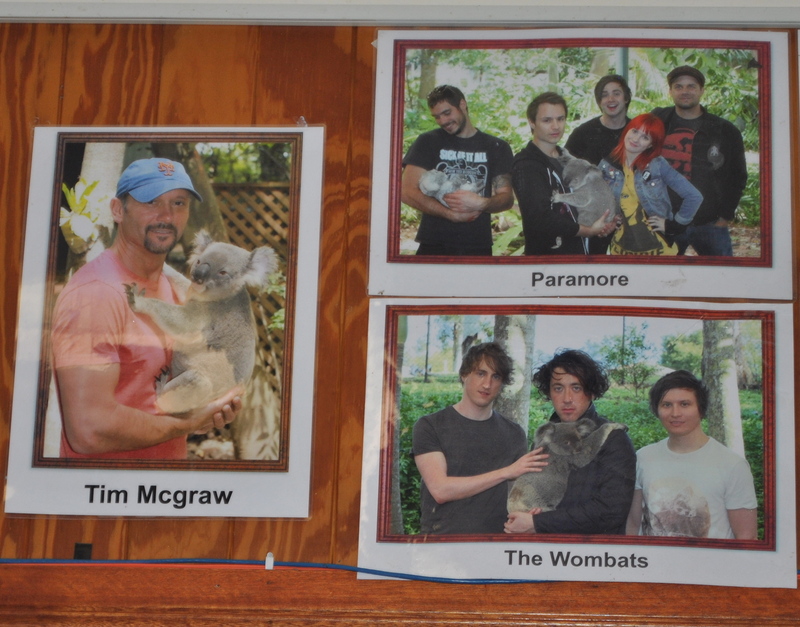 I really truly promise I didn’t go to the Lone Pine Koala Sanctuary and take more pictures of the celebrities in the gift shop then the animals. 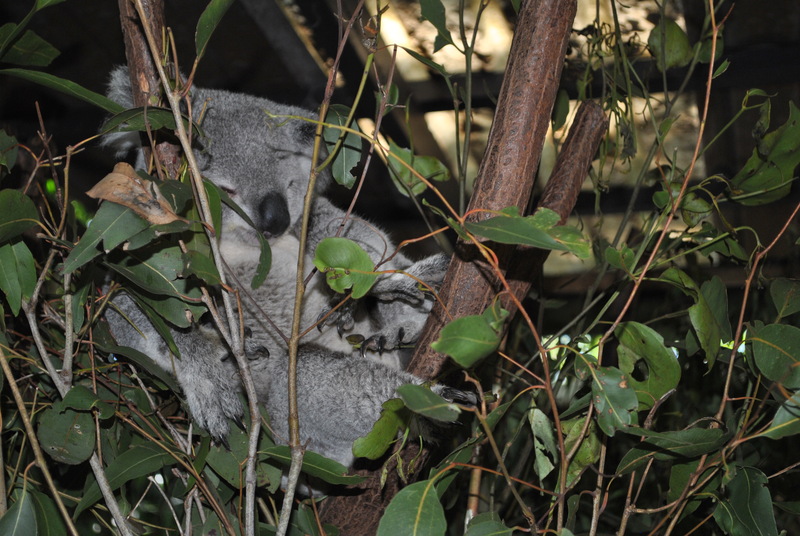 I have about a million koala pics but i’m going to spare you for now. 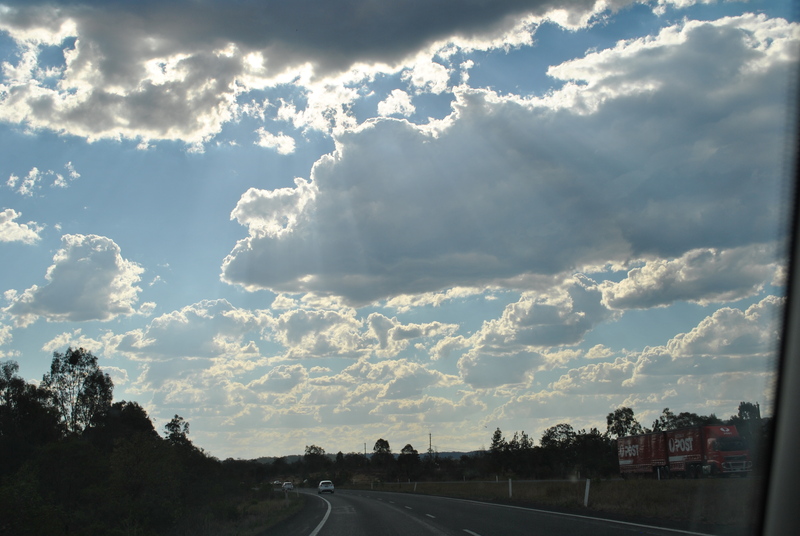 I will leave you with this look at Australia’s huge skyline as I drove back to Toowoomba.